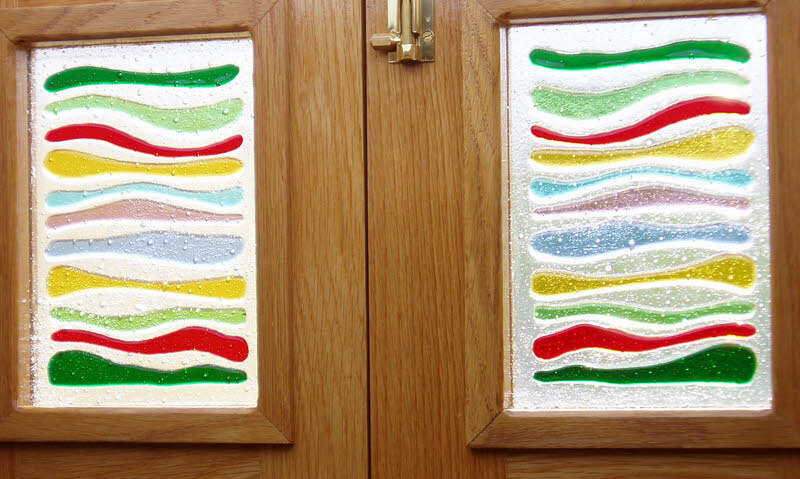 Narrowboat Windows in Flowing Fused Glass, Solihull. 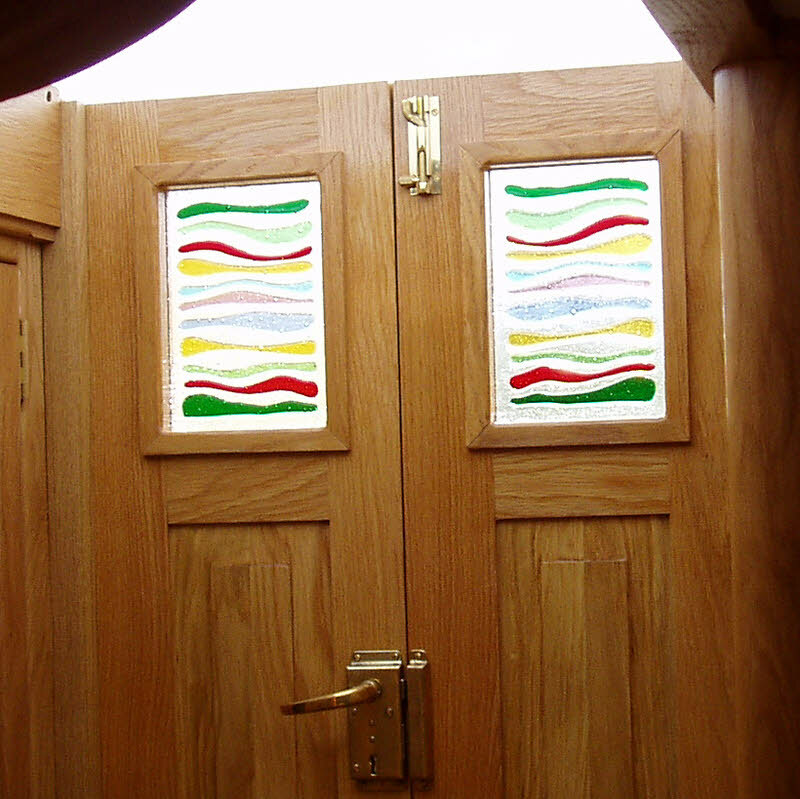 These fused glass panels are fitted into the doors of “Button Moon”, a lovely new narrow boat built by Stephen Goldsbrough Boats in Solihull. The windows were created with lots of extra bubbles trapped between the layers and then the coloured strips are ‘tack’ fused to the panel. 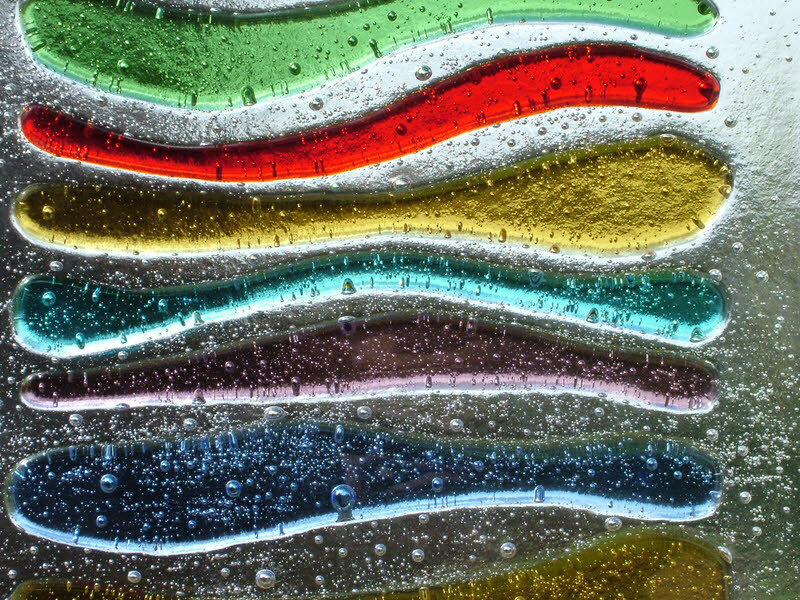 The bubbles in between the fused glass layers are made using bicarbonate of soda – but we have to be very careful: Too little bicarbonate and nothing happens. Too much and the whole lot explodes in the kiln! This combination of bubbles and tack fused pieces makes the glass very tactile. The raised stips evoke the gentle ripples on a canal and the colours are reminiscent of the traditional colours seen on the boats of canals of Britain. The narrowboat “Button Moon” was exhibited at the Crik Boat Show in May 2009 and was also featured in Waterways World in July 2009. Error: Error validating access token: Session has expired on Monday, 08-Apr-19 03:56:55 PDT. The current time is Friday, 19-Apr-19 12:00:53 PDT.